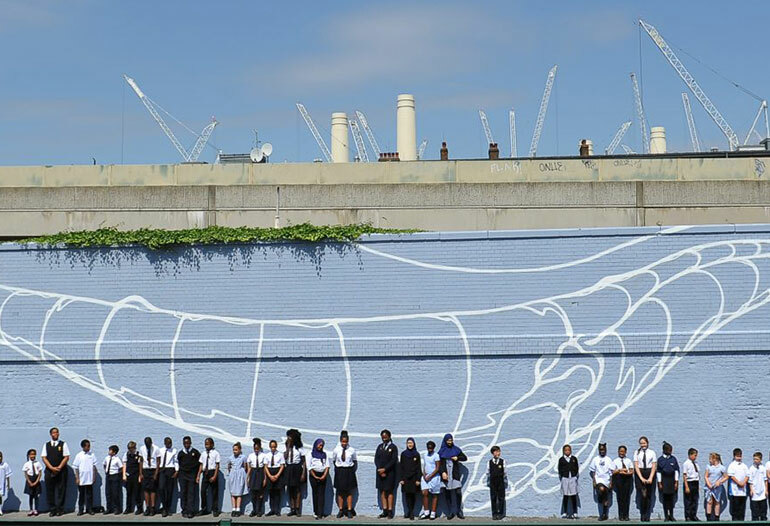 On Friday, 8th June, a beautiful 22 meter-wide mural of a whale was painted on the playground wall of St. George's Primary School in Battersea. 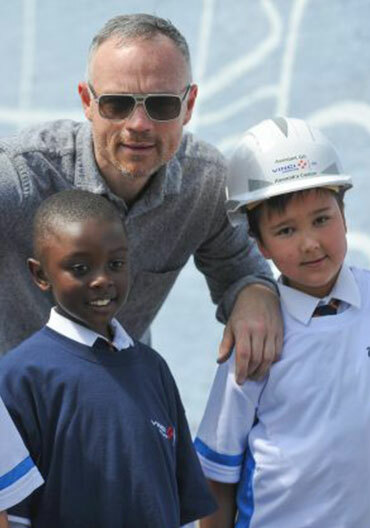 Artist Mr Dane has been working with St. George's Primary School for the past two years, involved in storytelling sessions, design classes, and creative workshops with each year level. 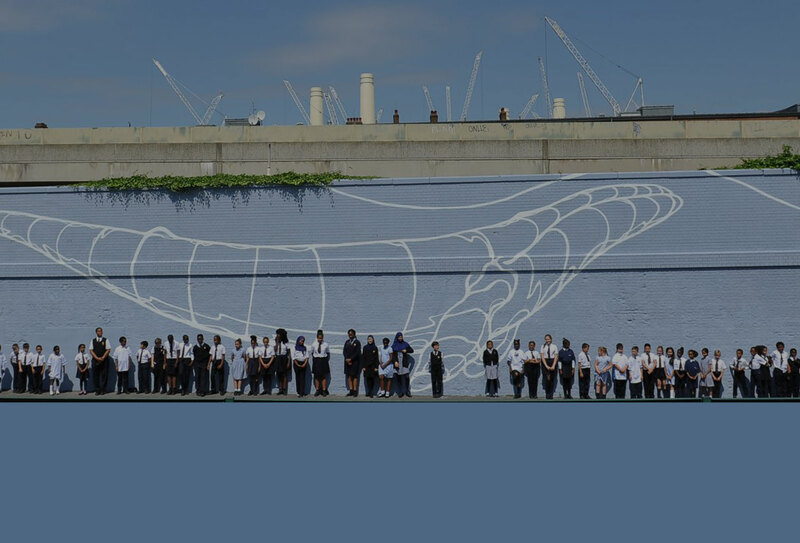 The final image of the whale was chosen as part of a school voting day. It's a direct result of the students' own decision that they wanted their school environment to be as beautiful as the Edible Avenue installation across the road. Graphenstone paint was used which works to absorb CO2. As the wall is so large, its absorbency calculates approx to 30 kg of CO2. It has many eco-benefits, for example it has not volatile organic chemicals found in most paints, so the wall is allowed to breathe naturally. The image is a real life-size female whale against a blue sea backdrop. The female whale is exactly the same length as the playground 'pen' at St. George's. Historically, whales used to go up the Thames with the last one being spotted in 2006!